Your daily scoop of what State of the Union is watching today, July 17, 2014. 4:40 UPDATE: A senior US official tells CNN’s Barbara Starr that the U.S. has concluded the Malaysian airline was shot down. One radar system saw a surface-to-air missile system turn on and track an aircraft right before the plane was shot down, according to the official. 1. MH17. 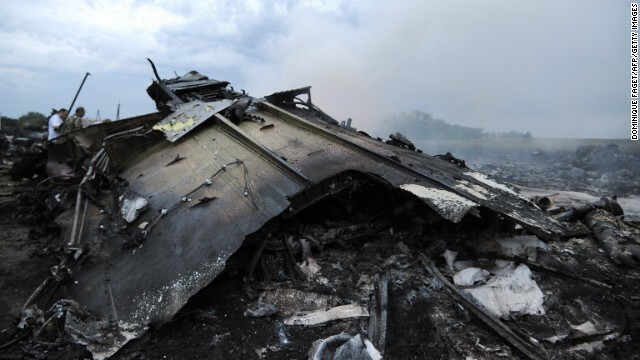 Malaysian Airlines Flight 17 crashed in Ukraine with 295 people on board. The airliner went down on Ukraine’s border with Russia, the area of months-long unrest between Ukrainian separatists-aligned with Russia and Ukrainian government forces. The flight was heading from Amsterdam to Kuala Lumpur when it crashed. 2. What brought the plane down? Ukraine’s government says the plane was shot down by a missile and it is pointing the finger at Moscow-provided weapons to the Ukrainian rebels. Russia, Ukraine and the rebels are all denying responsibility for the tragedy. 3. The U.S. response. President Obama offered condolences regarding the crash and said the U.S. stands ready to help in the investigation. “Right now, we’re working to determine whether American citizens on board. That is our first priority,” said the President at a scheduled event in Delaware. 4. Is this a game changer? Should the investigation reveal that MH17 was shot down, what will it mean for the U.S. and its European allies in their handling of Russia over the Ukraine crisis? State of the Union will be following this story and have the very latest on Sunday’s show.